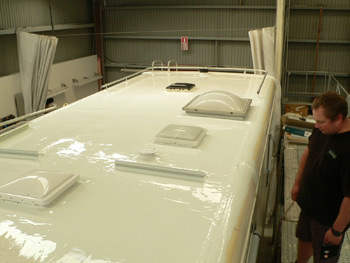 Pro Guard is a liquid roof product in the unique form of EPDM Rubber. As a liquid, it can conform to any shape of roof, flashing, or protrusion, vertical or horizontal, and can be applied easily with a paintbrush or roller. When mixed with a catalyst it cures by chemical reaction to form a self-adhering seamless sheet. EPDM Rubber has been used in sheet form for more than 30 years. It is one of the most durable roofing products and the advantage of the Pro Guard product is that it is in a liquid form. Due to ultraviolet rays and weather conditions, sealants can become brittle and lose adhesion, resulting in leaks. 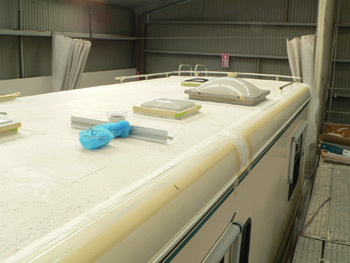 One application of the Pro Guard product will provide an air and watertight seal that will outlast the original sealant. The Pro Guard product will provide long term protection even under extreme exposure conditions.